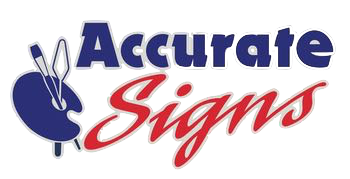 Accurate Signs installs what we make if needed by the customer. This can include signage on buildings or walls, in fields or other locations where we can install the sign on wooden posts, or on windows. 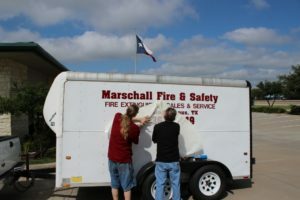 This gives us the flexibility to do what you need: from the installation and removal of a temporary banner to the installation of a permanent sign on your building. We will repair damaged signs for our customers as well and will do so for new customers as part of a new sign installation. We have extensive experience in car wrap installation to business vehicles. We have done full vehicle wraps as well as door mounted lettering and everything in between. If you call us in the morning we can usually get your simple design printed and installed the same day. Larger jobs will take longer but we have the ability to secure your vehicle overnight in our garage for your car wrap installation.